You are here: Home > MCSD News & Alerts > MCSD News & Alerts > Jefferson News > Jefferson T-Shirts Still Available! Our first order of T-Shirts will be sent home soon! In case you missed out on the first order – It’s not too late! We will place another order soon – Orders are due by October 6th at 3:00 pm. 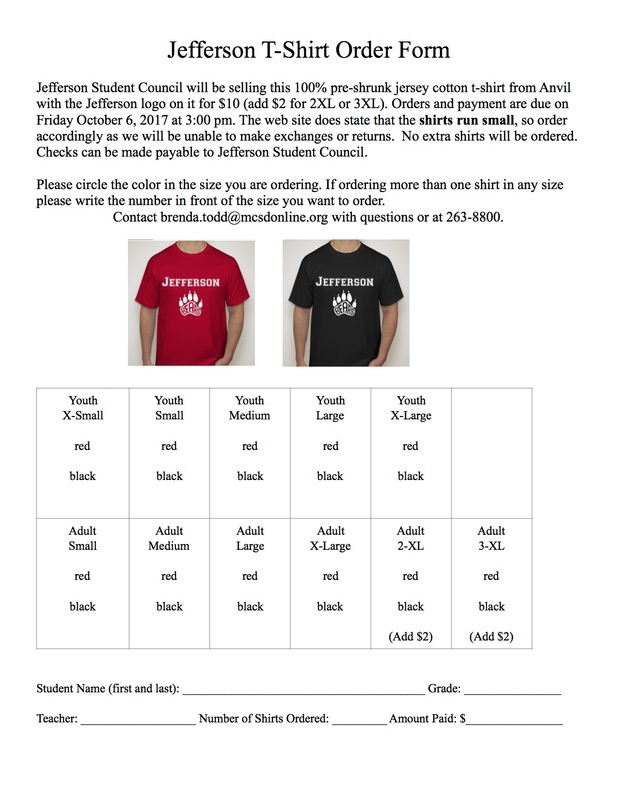 Pick up an order form in the Jefferson School office, or print out the attached image and send to school with payment.